Alpha Sigma Xi firmly believes in the non-hazing traditions upon which the fraternity was founded. The brotherhood we share is attributed to close bonds and friendships we have with one another, as well as a fervent respect for each member’s individuality. Alpha Sigma Xi is a diverse chapter, having members involved in various fields of study as well as participating in many of the student groups, sports, clubs, organizations, and activities offered on campus. 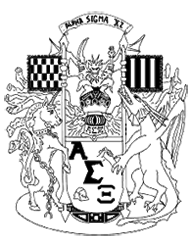 Alpha Sigma Xi was created to savor the full experience of collegiate life and not its bitter aftertaste.